Play as Grey Matter and sort the incoming colored spheres into perfect polarity by matching three in a row swapping them. This is a Zuma like Puzzle Game. Use the keyboard arrows to attract a molecule to you. Use the arrow keys again to send the attracted molecule away. Match at least three of the same colored molecules to destroy them. If the molecules reach the grey matter the game is over. Destroy4,5 or 6 molecules at once to spawn special molecules. Push Space to activate an "EMP". This will destroy every molecule on the screen. If you want to play Ben 10 Grey Matters Polarity games online you have come to the right place! 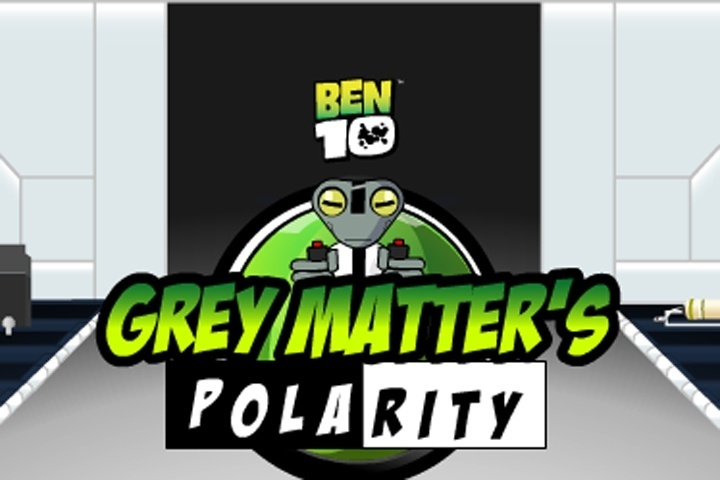 GamesLoon adds new Ben 10 Grey Matters Polarity games every week. This is your game portal where you can find the biggest collection of free Ben 10 Grey Matters Polarity games online. Do not forget to rate our Ben 10 Grey Matters Polarity free online games while playing!